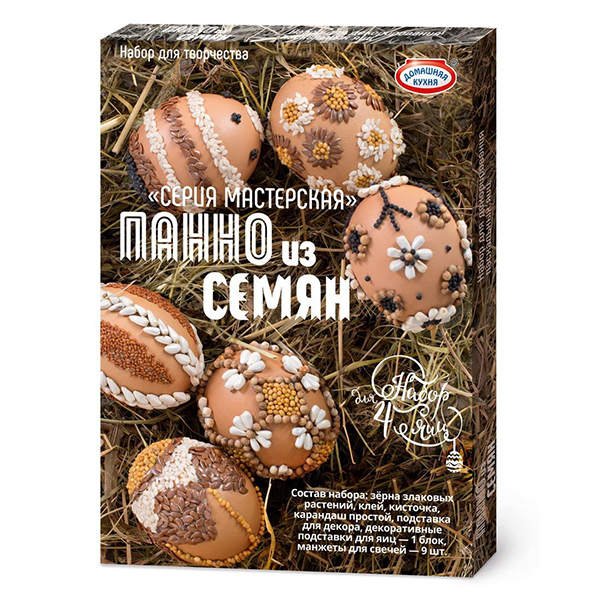 Easter Egg Arts and Crafts DIY Kit "Seed Pattern"
This kit represents the original ancient way of decorating eggs for Easter holiday. When people did not have any food dyes and colorings, they used nature products for creating unusual festive Easter eggs. Try out this authentic way of creating Easter beauty!